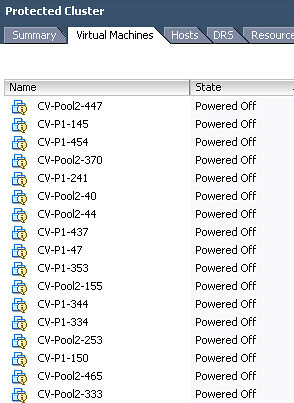 The way things work out, I tend to build a lot of vCenter Servers in the lab. Or at least it feels like I do. I need to test this. A customer I’m meeting with wants to specifically see that. I need don’t want to taint or impact an existing vCenter Server which may already be dedicated to something else having more importance. 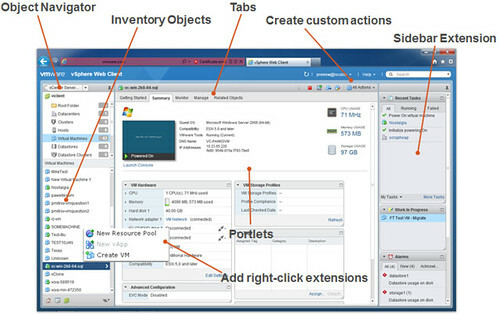 VMware Site Recovery Manager is a good example. Each time I bring up an environment I need a pair of vCenter Servers which may or not be available. Whatever the reason, I’ve reached the point where I don’t need to experience the build process repeatedly. 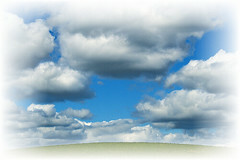 A while ago, I had stood up a private cloud for the Technical Solutions/Technical Marketing group at Dell Compellent. I saved some time by leveraging that cloud environment to quickly provision platforms I could install vCenter Server instances on. 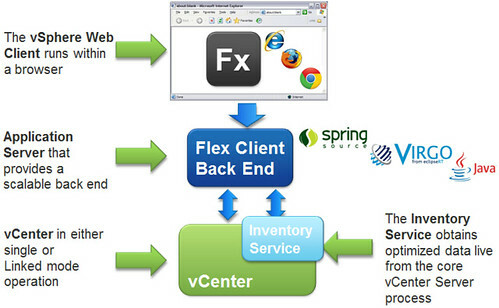 vCenter Servers as vApps – fantastic use case. However, the vCenter installation process is lengthy enough that I wanted something more in terms of automated cookie cutter deployment which I didn’t have to spend a lot of time on. What if I took one of the Windows Server 2008 R2 vApps from the vCD Organization Catalog, deployed it as a vApp, bumped up the vCPU and memory count, installed the vSphere Client, vCenter Server, licenses, a local MS SQL Express database, and the Dell Compellent vSphere client plug-in (download|demo video), and then added that vApp back to the vCD Organization Catalog? Perhaps not such a supported configuration by VMware or Microsoft, but could I then deploy that vApp as future vCenter instances? 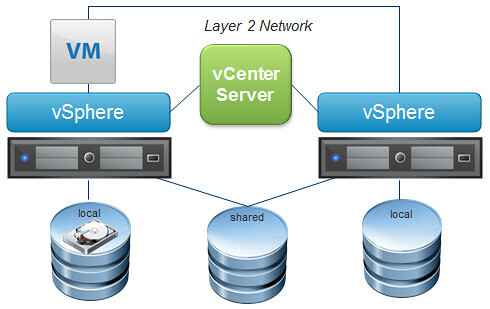 Better yet, build a vApp consisting of a pair of vCenter Servers for the SRM use case? It sounded feasible. My biggest concerns were things like vCenter and SQL Express surviving the name and IP address change as part of the vCD customization. Although I ran into some unrelated customization issues which seemed to have something to do with vCD, Windows Server 2008 R2, and VMXNET3 vNICs (error message: “could not find network adapters as specified by guest customization. Log file is at c:\windows\temp\customize-guest.log.” I’ll save that for a future blog post if I’m able to root cause the problem), the Proof of Concept test results thus far have been successful. 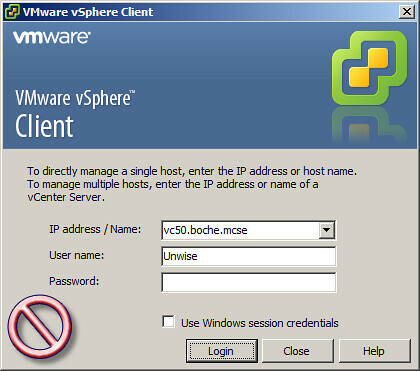 After vCD customization, I was able to add vSphere 5 hosts and continue with normal operations from there. Initially, I did run into one minor issue and that was hosts would fall into a disconnected status approximately two minutes after being connected to the vCenter Server. This turned out to be a Windows Firewall issue which was introduced during the customization process. Also, there were some red areas under the vCenter Service Status which pointed to the old instance name (most fixes for that documented well by Rick Vanover here, plus the vCenter Inventory Service cleanup at VMware KB 2009934). To The Cloud! You don’t normally hear that from me on a regular basis but in this case it fits. 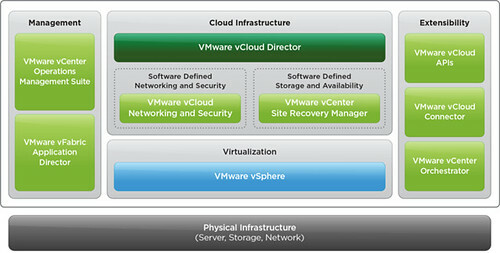 A lengthy and increasingly cumbersome task was made more efficient with vCloud Director and vSphere 5. Using the Linked Clone feature yields both of its native benefits: Fast Provisioning and Space Efficiency. I’ll continue to leverage vCD for similar and new use cases where I can. 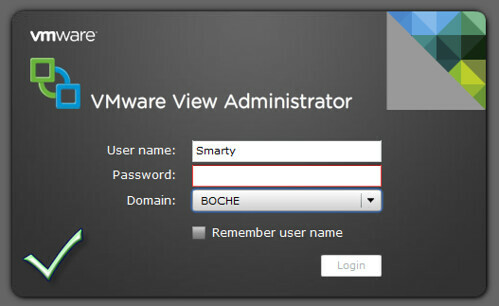 Lastly, this solution can also be implemented with VMware Lab Manager or simply as a vSphere template. Caveats being Lab Manager retires in a little over a year and a vSphere Template won’t be as space efficient as a Linked Clone. With 2011 wrapped up and the holiday festivities over with, I decided to kick off 2012 by sitting a few new VMware certification exams. Before I get into the details of the exam experience, I must extend my sincere appreciation to the new testing center I tried out – New Horizons Computer Learning Center in Eagan, MN. It’s a new facility, friendly staff, state of the art equipment, AND THEY ALLOW COFFEE IN THE EXAM ROOM! I’m locked on to this facility for all future exams. Ok, VMware Certified Associate 4 – Desktop, otherwise known as VCA4-DT. Thursday morning, 70 questions, multiple choice, 90 minutes if I remember right. Time isn’t much of a factor on this exam as it has been in past exams I’ve sat. Unfortunately I failed by a narrow margin. 289/500 (300 is the passing mark). Not passing was a bummer since I’ve only failed one other exam and that was 14 years ago. The reality was that I hadn’t had enough View Administrator seat time to recall what was being tested. I can’t go into specifics but I will say that having a photographic memory of the View Admin console will go a long way to get by this exam. I’ve managed a tiny View 4.6 and now 5.0 environment in my lab but I haven’t spent countless hours in the console on a day to day basis which is what I think is really required. That makes sense – after all it is an Administrator role based exam. My hope was that brushing up on the blueprint objectives and reading Mike Laverick’s Administrating VMware View 4.5 book cover to cover the night before the exam would have been enough to get by. It wasn’t. No fault to Mike of course, his was a fine book. I planned short on the preparation, rolled the dice, and.. well you know by now what happened. It was a humbling experience but at the same time it’s an effective method to learn more. After I get back from Dell Storage Forum London I’ll plan on hitting the lab and ultimately finishing the exam the proper way. After that, I’ve got my sights set on VMware Certified Professional 4 – Desktop (VCP4-DT) which I may already be better prepared for. 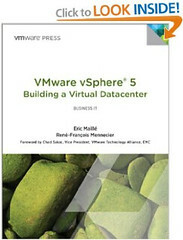 On to the VMware Certified Professional 5 or VPC5. Friday morning, 85 questions, multiple choice, 90 minutes. I reached the end of the exam with 14 minutes left to review marked questions – I had quite a few. I don’t know why – I rarely change my answer when reviewing questions. I mark the questions with the intent that there may be a better answer which comes to me later on in the exam but it rarely happens and I believe statistics prove that on average, first instinct is going to be the better or correct answer. I’ll be honest, dwelling on yesterday’s fail did a number to my confidence level but I had no choice but to push forward studying the blueprint for a solid 8 hours last night into the wee hours of the morning. Granted, the VCP5 exam should be higher on the difficulty level, but the infrastructure content maps quite a bit better to my expertise that VMware View administration does. 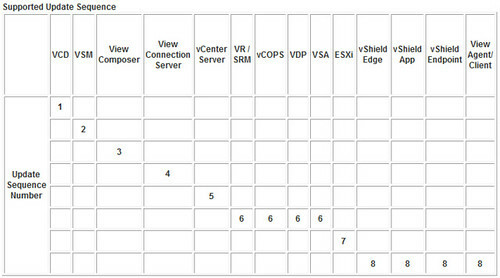 I had seen some comments from others that the VCP5 exam didn’t contain much along the lines of Configuration Maximums type questions. 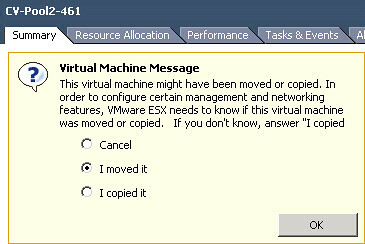 Based on that, I didn’t spend much time in the vSphere 5 Configuration Maximums document. I brushed up on HA, DRS, and although I have little hands on working experience with the appliance based bolt ons like the vCenter appliance, vDR, VSA, or Auto Deploy, I tried to pick up as much as I could on those areas. On exam difficulty, the content came easier to me based on familiarity. For most of the exam I was pretty well within my comfort zone. As a Technical Marketing Product Specialist at Dell Compellent, the storage related questions aren’t quite the level of difficulty they once were. There was a pretty good blend of easy/medium/difficult questions, and also a few which I felt were worded poorly enough such that I knew the correct answer either way, but interpretation of the question is going to determine a right or wrong answer. Results on this exam were better – 406/500 (300 passing). There were plenty of questions on the other vSphere products I talked about earlier such as the vCenter appliance, vDR, VSA, and Auto Deploy. While I feel I did answer a few of those questions correctly, the remainder is likely what accounts for the majority of the points I missed on the exam. By the way, if you’re not using vSphere Update Manager on a regular basis to assist in upgrading your environment, you should be, and you’ll want to know that product for this exam as well. Have a great weekend and for those attending Dell Storage Forum London next week, I hope to meet up with you.